You just don’t know when you’ll need oven repair in Humble, Texas. It seems like this appliance breaks down when you least expect it. Sometimes, it stops working right in the middle of meal preparation. That can stress you out in a hurry. However, you don’t need to worry for long. Pick up the phone and place a call to Appliance Repair Humble TX. We will send an experienced pro to fix your gas, electric or microwave oven. Count on our company for same day repair service. We will schedule a convenient appointment for installation. Call us today! We will ensure reliable oven installation service for your home. Let us send a skilled specialist to move your oven into place and hook it up. Many customers are weary of installing gas ovens. They are afraid to make a mistake. You can avoid this problem by turning to us. A trained expert will rush out and do the job quickly and safely. Need to install a range? Plan to get a built-in oven? Call us and we will send out a qualified oven service Humble pro to take care of the installation. Depend on us for same day oven repair service and get a trained and courteous tech. We enlist certified techs we know we can trust. You can call our company when you need electric or gas oven repair. You can count on the tech to carry plenty of quality parts in their truck. If they need to replace something, the part will be close at hand. We can help with any oven type, all services, and all sorts of cooking appliances. So feel free to contact us for anything you want. 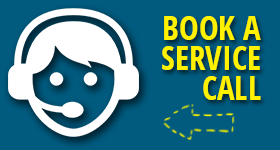 Reach out to us when you need service. Even the best brands will break down at some point. When they do, you can be prepared. We will have a trained pro out to your location in no time. If you have troubles with the ovens, stove, or range, think of us. You will get fast service at a price you’ll love. 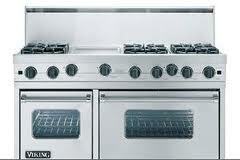 Make our company the first and only choice for Humble oven repair and any cooking appliance service.